The Future Peter­bor­ough pro­gram­me is delivered in joint part­ner­ship by Oppor­tun­ity Peter­bor­ough and Peter­bor­ough City Coun­cil. Com­men­cing in 2012, the pro­gram­me has evolved from the Peter­bor­ough DNA demon­strat­or phase to the Future Peter­bor­ough scale-up phase. Our cit­izen centred approach res­ul­ted in world recog­ni­tion, with Peter­bor­ough being awar­ded World Smart City in 2015. 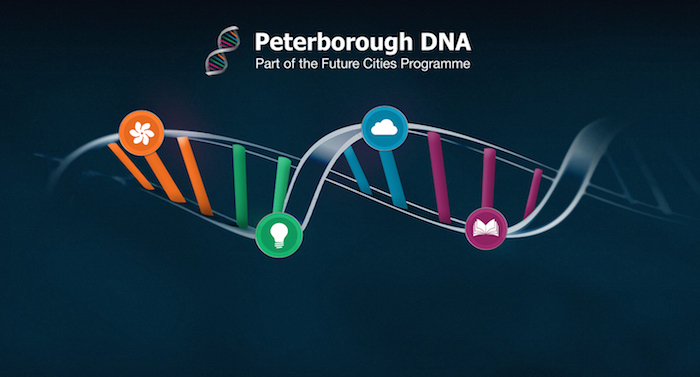 Short­l­is­ted cit­ies in the Smart City of the Year 2015 included Moscow and Dubai, but judges were impressed with Peterborough’s com­mit­ment to becom­ing a Cir­cu­lar City and its Envir­on­ment Cap­it­al vis­ion. Peterborough’s col­lab­or­at­ive approach to cit­izen involve­ment, also con­vinced the awards jury that Peter­bor­ough should win. 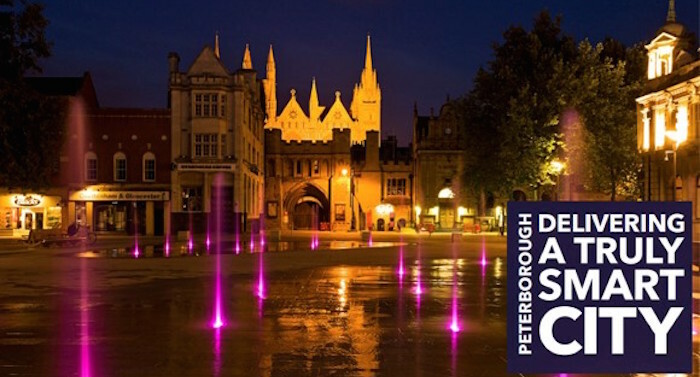 In 2012, Peter­bor­ough came second in a com­pet­i­tion run by Innov­ate UK. 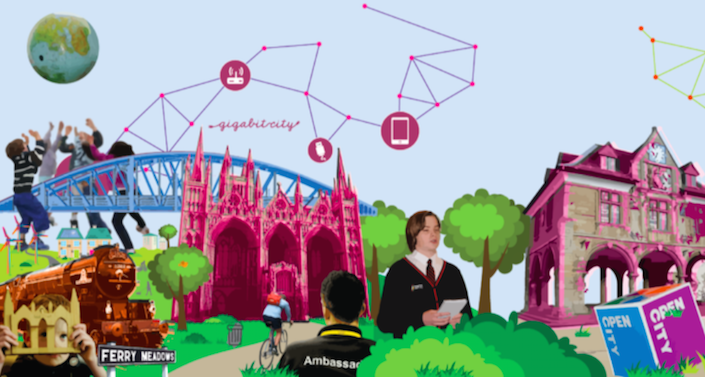 As a res­ult we were awar­ded £3 mil­lion to test, develop and imple­ment new con­cepts and ideas con­nect­ing people, places, spaces and ser­vices in smarter ways, cre­at­ing a more sus­tain­able city to live and work in. The demon­strat­or pro­gram­me, Peter­bor­ough DNA, focused on deliv­er­ing four inter­linked strands of activ­ity: Smart Busi­ness, Liv­ing Data, Skills and Innov­a­tion. The pro­gram­me provided a found­a­tion to deliv­er smart pro­jects across the city through strong lead­er­ship and sup­port to deliv­er innov­at­ive solu­tions to city chal­lenges. We are now scal­ing up the innov­at­ive ideas, approach and pro­jects delivered as part of the Peter­bor­ough DNA demon­strat­or phase through the Future Peter­bor­ough pro­gram­me. We are tak­ing the exper­i­ences and les­sons learnt from the demon­stra­tion pro­jects and embed­ding it in the way we oper­ate as a city. The Future Peter­bor­ough approach is built upon intel­li­gence, listen­ing to the people liv­ing in our city, smart lead­er­ship and cir­cu­lar eco­nomy prin­ciples.